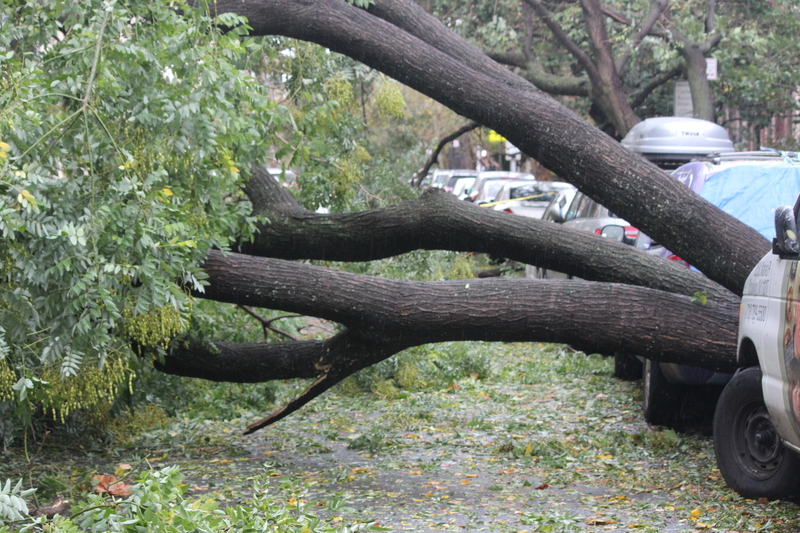 Hurricane Sandy blew through New York City. 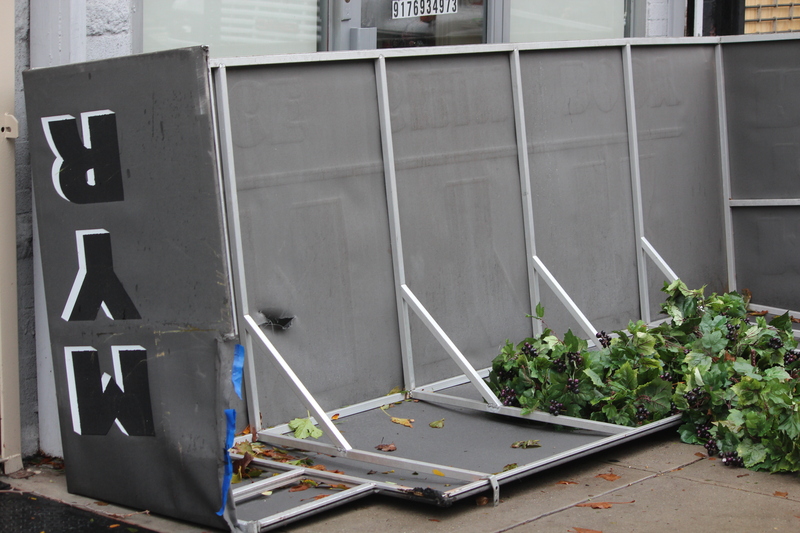 Luckily, my building escaped unscathed. 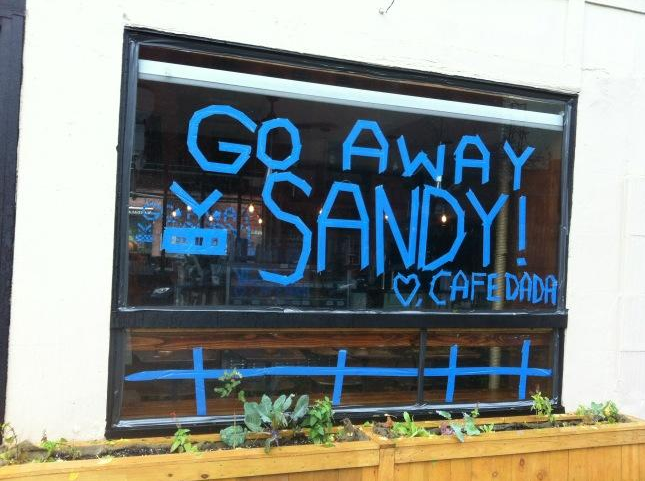 Though walking around Park Slope, there were some who didn’t. 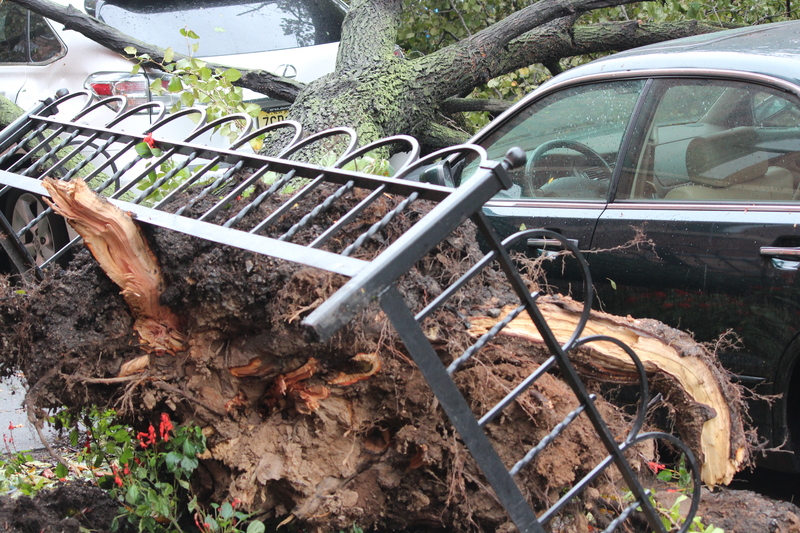 While there were many trees down and several cars damaged, it looks like, on the whole, the immediate area was very fortunate. Here are a few pictures I took. Lincoln, between 7th and 8th. 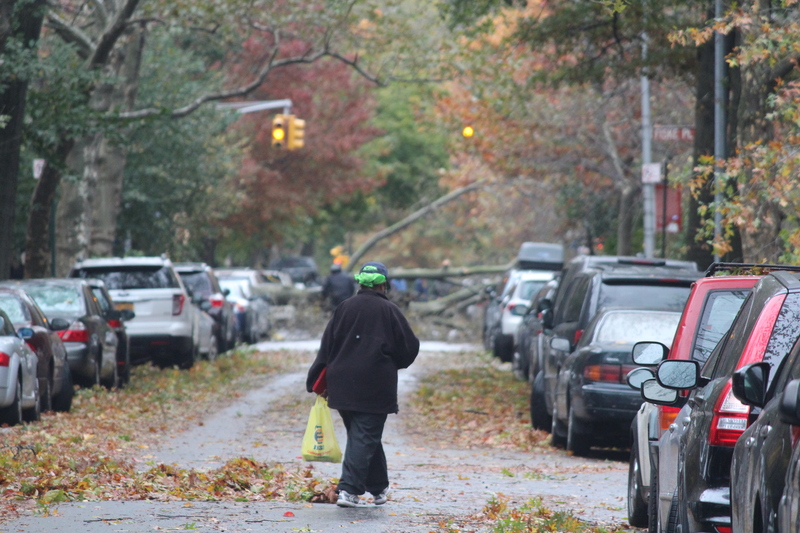 Pretty much every side street in Park Slope has at least one tree down. 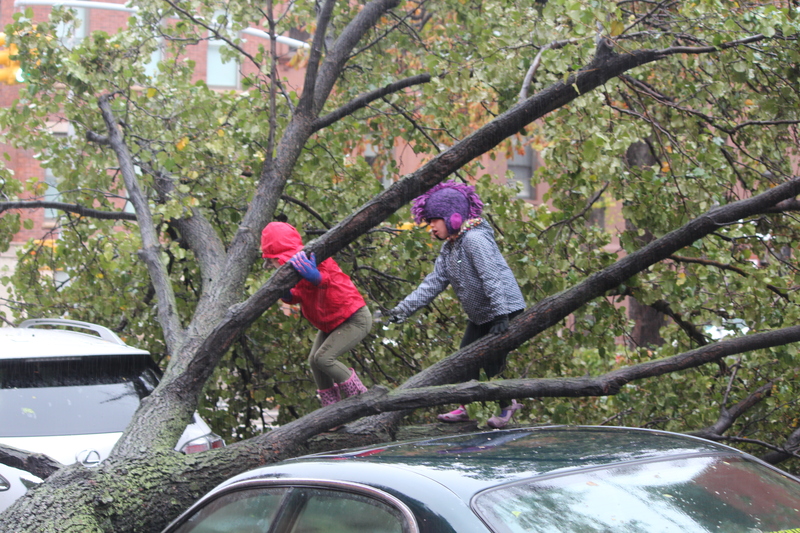 Awning down on 7th Ave.
Park Slope kids climbing a tree that destroyed a car. Sterling and 7th Ave.